Don’t worry, this will be a quick post, as to not spend much time on the worst Pixar movie ever made. Granted, it isn’t a BAD movie, it’s just the worst Pixar movie. There isn’t much food shown, cuz well, cars don’t really eat food. So Mater, with his spy disguise machine, can turn into a taco truck. I’m not sure who eats the tacos in this world, but they exist. 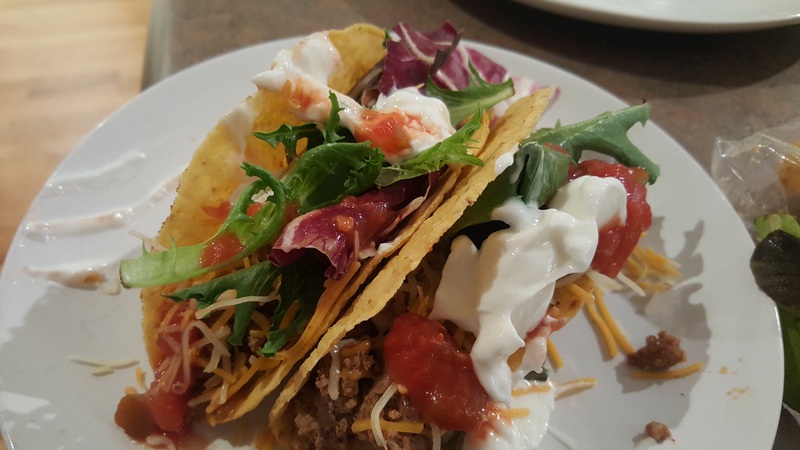 So we made some yummy beef tacos! In a pan over a medium-high heat, cook the onions until they start to caramelize. Add the ground beef and brown. Add the salsa and other seasonings, cook for a couple more minutes. Will it Make you into a Car Spy? The tacos were really good. Nothing super special though.